With more than 1,850 known species of moths in the state of Illinois—more than ten times the diversity of butterflies—it is a real adventure sampling the moth species inhabiting the McDonald Woods at the Chicago Botanic Garden. Using a combination of light and bait traps along with visual searches, I have been investigating the diversity of moth species found in the restored portions of our oak woodland. 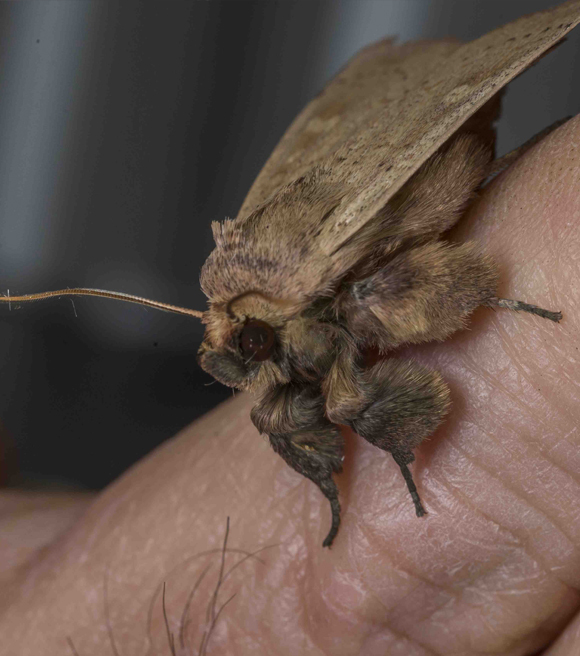 Moths are removed from the traps and then photographed before being released back to the woodland. 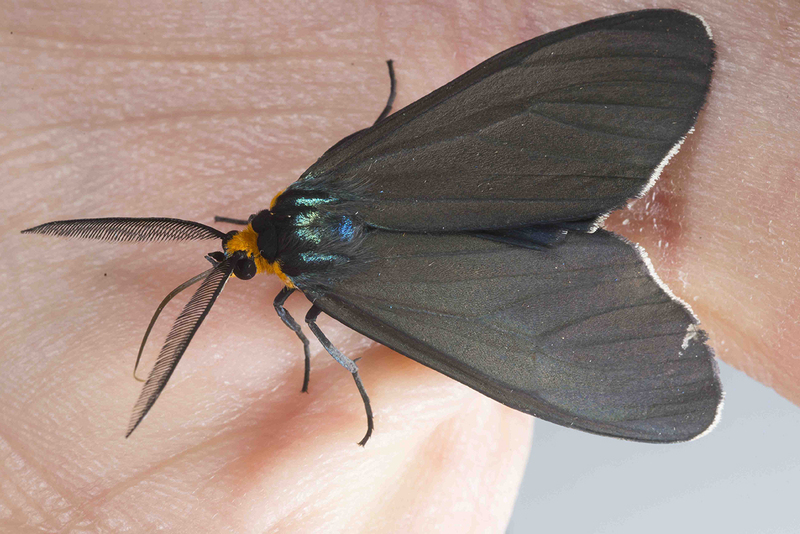 The metallic scales of Ctenucha virginica (Virginia Ctenucha moth) are striking—even its wings have a metallic sheen. 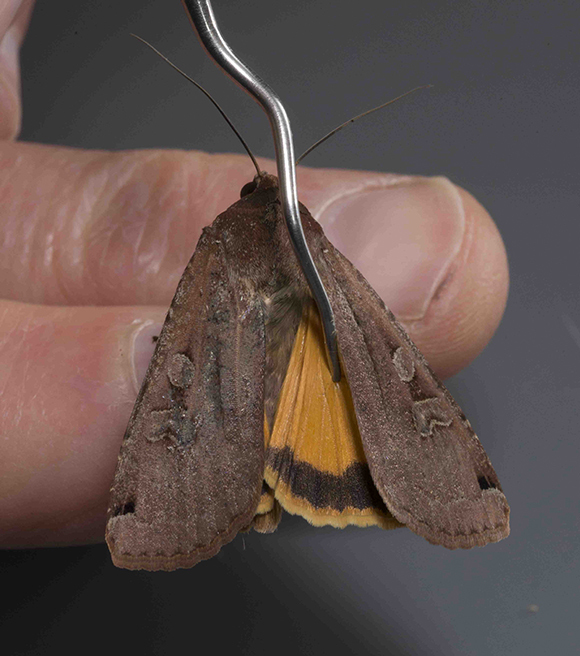 My interest in moths stems from the fact that many of the species are dependent on one or just a few native plant species for their survival, and as a result, may serve as valuable indicators of the health of our recovering, once-degraded oak woodland. The larval stages—the caterpillars—primarily feed on the roots, stems, and leaves of the plants. Adult moth species are very important pollinators. White-flowered and night-fragrant plant species are often what they seek. There are day-flying moths also, like some of the hawk moths (which are often mistaken for hummingbirds) that are seen visiting a variety of flowers in full daylight. Moths are also a tremendously important part of the food chain. Entomologist Doug Tallamy tabulated the number of caterpillars that were utilized to support one nest of black-capped chickadees and found that they consumed between 6,000 and 9,000 caterpillars, most of which were moth species. Adding even a few native plant species to your yard can benefit a multitude of these valuable invertebrates. It is a never-ending surprise to see what new species will show up each time traps are placed. Some species are so small (usually referred to by lepidopterists as micromoths) that most people would pass them off as gnats or pesky flies. 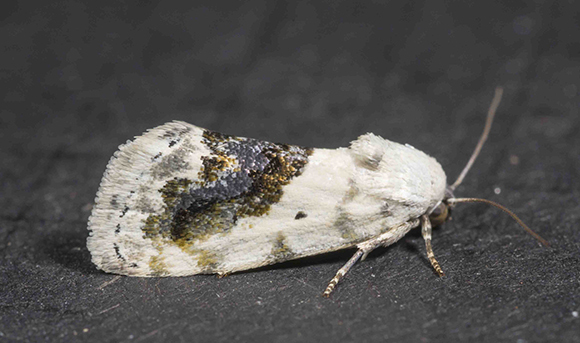 Some micromoths are only 3-4 millimeters long. One in particular I like to refer to as the “Nemo” moth, as in Finding Nemo. I gave this species that name because its colorful pattern reminds me of a clown fish. At the other end of the spectrum are the moth species that are quite large. 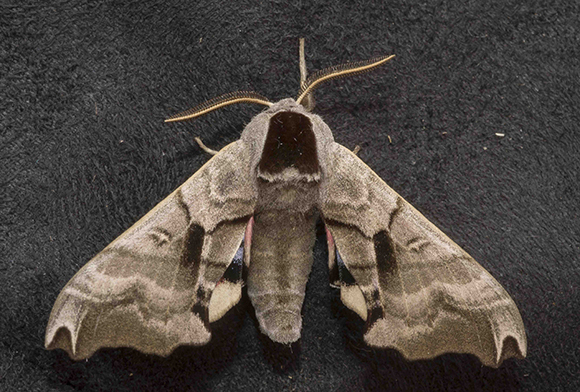 The giant silkworm moths, like the luna and Cecropia moths, have a wingspan of more than 140 millimeters. Starting in mid-July and going through September, a group of medium to large moths known as underwing moths starts appearing in the woods. These delta-shaped species are usually very cryptically colored on their forewing and brightly and starkly colored on their hind wing. The cryptic forewing allows them to blend in with the tree trunks they are resting on; the hindwing only becomes visible when they spread their wings to fly. It is thought to be a distraction or scare tactic to foil predators. Although there is a subtle nuance of shapes, colors, and textures that distinguish many species, there are also those that are in-your-face with shockingly bright colors, metallic ornamentation, stark patterns, and jagged ridges of scales—much like a mountain range on six legs—that never fail to impress me. 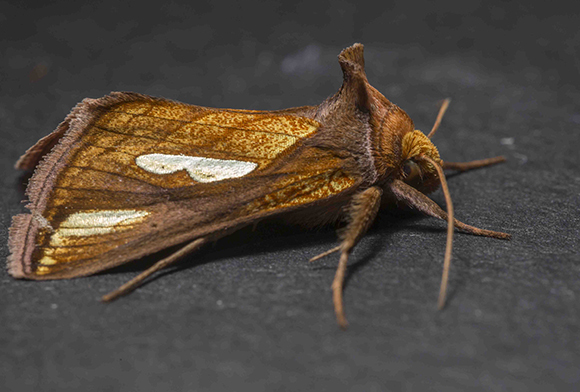 The looper moths are one good example. Many have stigmas (distinctive white patches and scrolling) on the surface of the wing and spectacular assortments of peaks, crowns, and ridges of scales on the thorax and inner edges of the wings. The scale patterns most likely evolved to break up the silhouette of the moth to make it less visible. One of the hooded owlet moths has a tall patch of scales on its thorax that looks like a witches hat when erect, but it can also be laid down over the moths head to make it look like a broken-off stick. Under the cover of darkness, there is a world of beauty and fascination fluttering silently among the trees. It makes me wonder if the full moon doesn’t show up once a month just to shed a little light on the show, just so we don’t miss it completely.